We elected to use the XMOS XUF208 microcontroller for its stability, powerful functionality, and its proven reliability. You can be sure that the Q5 will just work when connected to most audio sources, such as computers or mobile phones. The Q5 has also been officially certified by Apple to be "Made for iDevices", ensuring that it will flawlessly work with any of Apple's devices without fail. 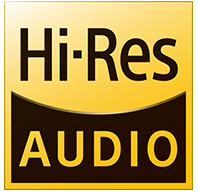 The Q5 has been deemed by the Japan Audio Society, after having extensively evaluated it, to be truly "Hi-Res Audio" capable. The Q5 utilizes the Qualcomm CSR8670 Bluetooth chip, which has official support for aptX high-fidelity Bluetooth audio. In addition, the Q5's Bluetooth capabilities can be upgraded through USB firmware updates . 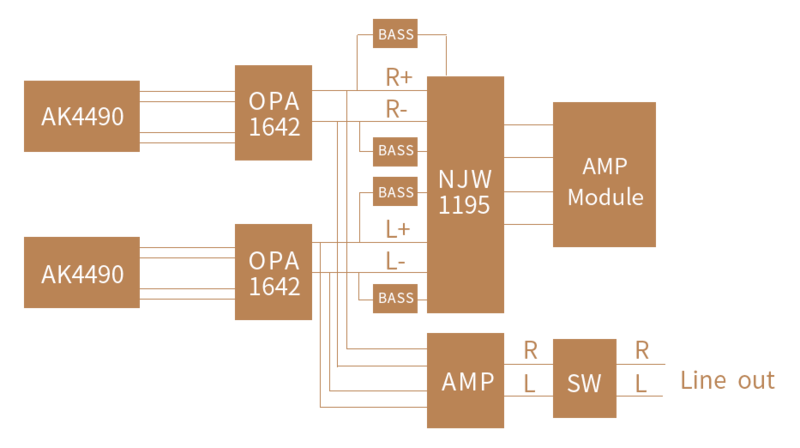 The low-pass filter section of the Q5 employs Texas Instruments' high performance OPA1642, while the MSP432 microcontroller ensures that audio signals are precisely handled with lower power consumption for longer battery life. When these elements are combined with the AK4490 DAC chip, Panasonic film capacitors, and the NJW1195 volume control chip, what results is a wonderful, melodious sound that is just pure ecstasy for your ears. The Q5 is equipped with two of AKM's AK4490EN DAC chips - known for its smooth, pleasant yet detailed sound due to its high signal-to-noise ratio and low distortion. Audio up to 384kHz/32 bit sampling rates and bit-depths are supported as well as native DSD up to DSD256. When DSD audio is transmitted to the Q5 in USB DAC usage, a green indicator will light up. 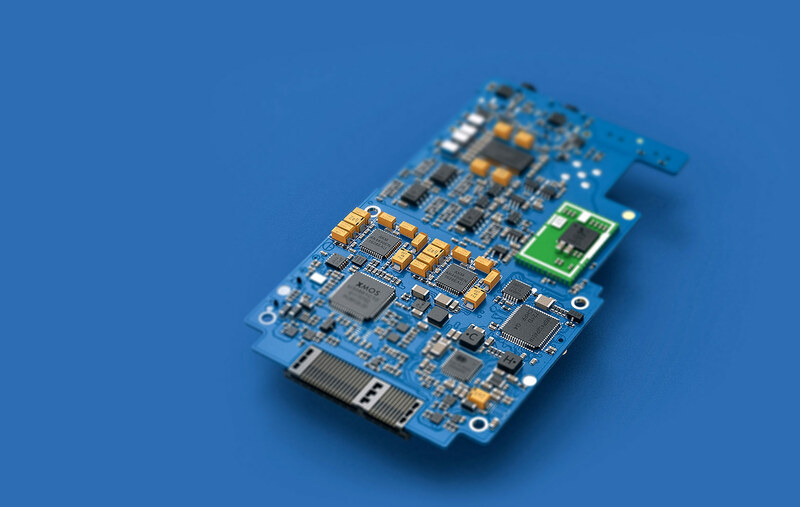 The Q5's internal design contains seven low-dropout (LDO) regulators, one each for the DAC, line-out, volume control, low-pass filter, amplifier, XMOS, and Bluetooth sections. Each of these sections have their own power supply circuits for cleaner power and less interference to each component, ensuring your music will come through as purely as it ever can. The Q5's volume control is based on an ingenious ADC mechanism, which aims to rid of problems such as volume imbalance between the left and right channels and extra noise while increasing overall adjustment accuracy when changing the volume by accurately reconstructing the ADC curve. This not only makes it easier to get to the volume you want, it also ensures that changing the volume actually feels good. Compared to the Q1 Mark II, the Q5 has 256 more levels of adjustment to the volume. 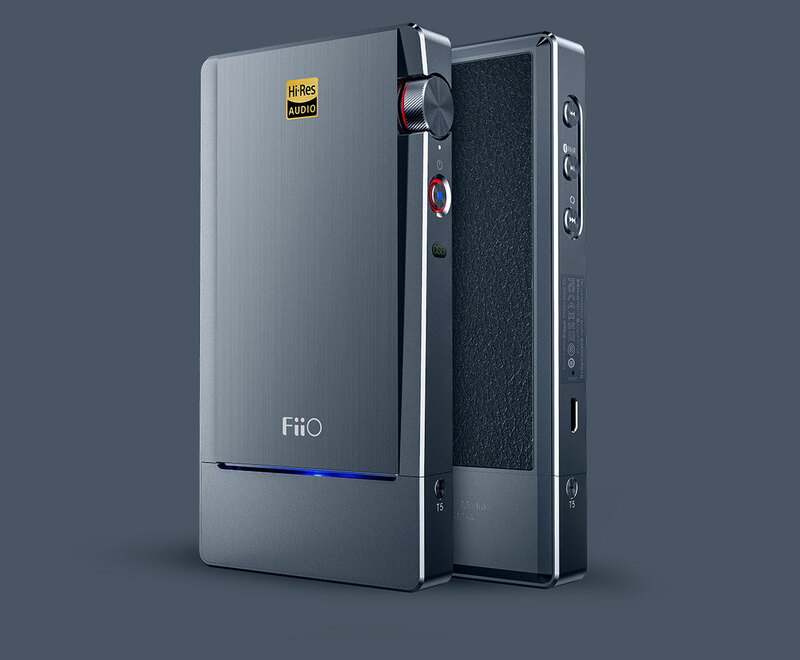 The Q5 continues to use the innovative interchangeable amp module design used by other models in FiiO's lineup and is fully compatible with any FiiO amp modules released thus far. The interchangeable amp module design significantly increases the Q5's flexibility, as you can purchase different amp modules for different power needs of different headphones or even for different sound signatures! The Q5 is bundled with the AM3A amp module with both single-ended and balanced outputs. Employed in the AM3A are the AD8620 wide bandwidth JFET operational amplifier (widely used as a preamplifier in highly-regarded designs) as well as the OPA926, originally exclusively designed for the X7 Mark II. The Q5's outer shell begins life as aluminum alloy – which is then put through a CNC machine and carefully surfaced. 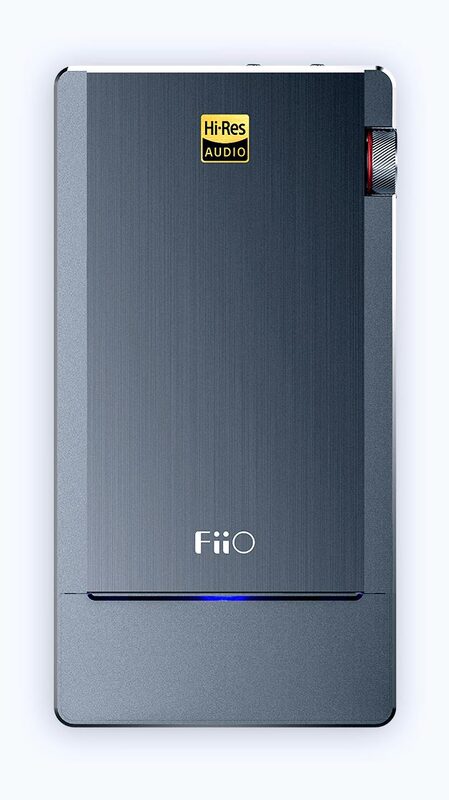 The rear of the shell is meticulously lasered, such that the upper and lower ends with the Hi-Res Audio and FiiO labels, respectively give off a minimalistic yet sophisticated look. The sides of the shell are laboriously sandblasted so that the side buttons and bottom-mounted amp module all fit together in a harmonious whole. The aluminum alloy nature of the body also means that it effectively resists electromagnetic interference. The rear of the Q5 is covered in polyurethane leather which not only gives it a touch of unique style, but also protects it against scratches ensuring your unit remains as pristine as in its first day. 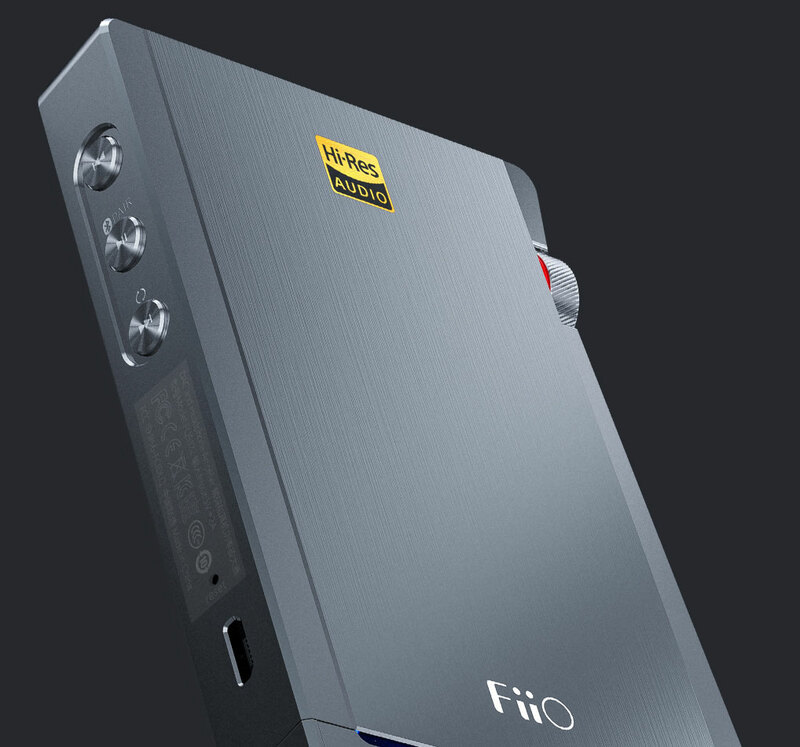 FiiO's designers sincerely wanted to make your experience of handling the Q5 a pleasant one, one example of which is the volume knob. Notice how on the right side, around the volume wheel are two gently sloping "ramps " which naturally guide your finger to the volume knob as well as subtly protrude said knob for easier access. The 45° notches and red ring on the volume wheel also discreetly indicate where the volume knob is and add a dash of style to what is usually such a mundane tool. When designing the Q5, we wanted to demonstrate that you can have both form and function. After much iteration on its outer design, we settled on a design that is as pleasing to the eye as it is delightful to use in the hands. When connected to your computer via a micro-USB cable, the Q5 becomes a highly competent standalone DAC/amplifier combo. 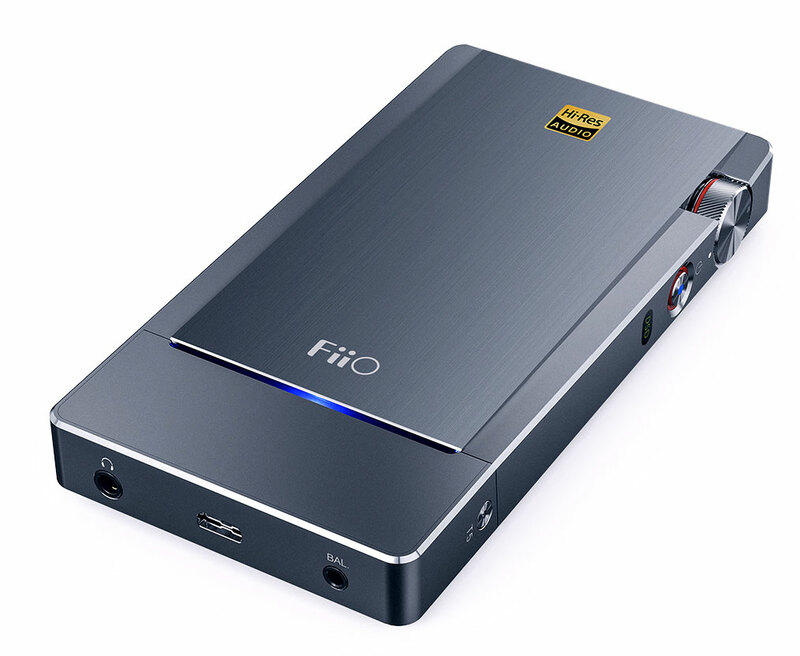 In USB DAC mode the Q5 supports PCM audio up to 384kHz/32 bit and DSD up to DSD 256 (no drivers required for Mac). 3. Owing to the facts that the DSD256 is encapsulated as 384kHz on Windows and as 768kHz on OSX, while the Q5 can only decode up to 384kHz. So when running on Windows it can support up to DSD256, but on OSX it's only up to DSD128. 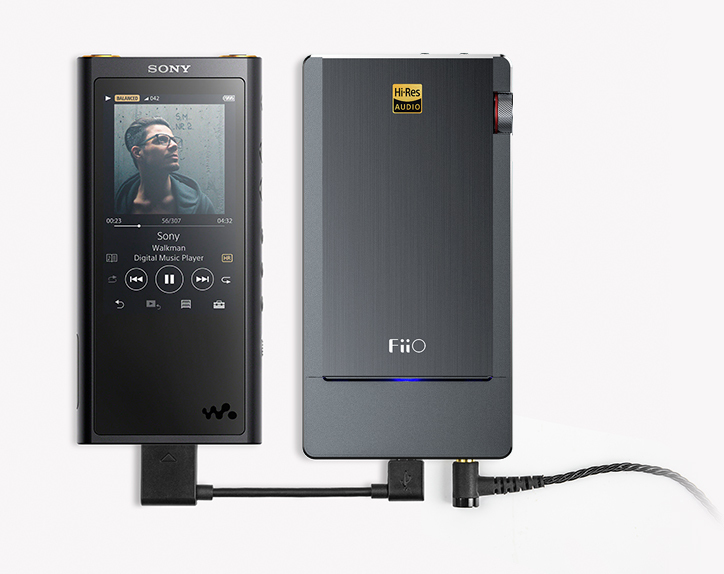 By using the FiiO L27 cable, you can connect the Q5 for use as an audio decoder to any devices using the WM-PORT interface such as Sony Walkman players – giving the Q5 yet more flexibility. *Note: The L27 cable must be purchased separately. In addition to the connection methods described elsewhere, the Q5 all includes a 3.5mm coaxial/optical /line-in combo connector. The optical connector allows you to hook up the Q5 with any device that supports optical output (such as the MacBook Pro) without any need for drivers. 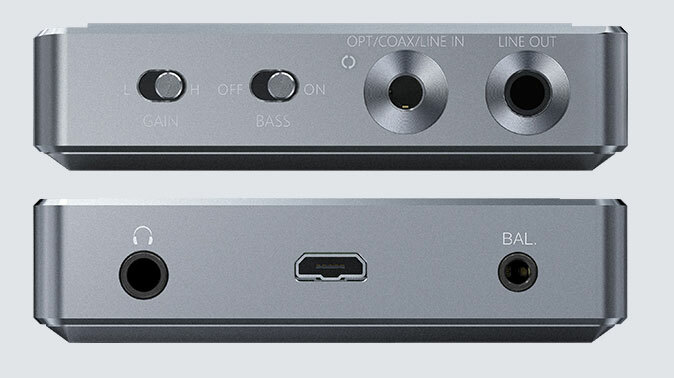 The line-in connector allows you to use the Q5 as a standalone headphone amplifier. Connecting the Q5 to your Apple iOS device with the included Lightning-to-micro USB cable allows you to continue to use your traditional 3.5mm headphones - but this time with your iPhone having never sounded so good before! *Note: The included Lightning-to-micro USB cables have been officially certified by Apple for use with iOS devices with a special identification chip, so that the cables will work with any iOS versions, even unreleased future ones. 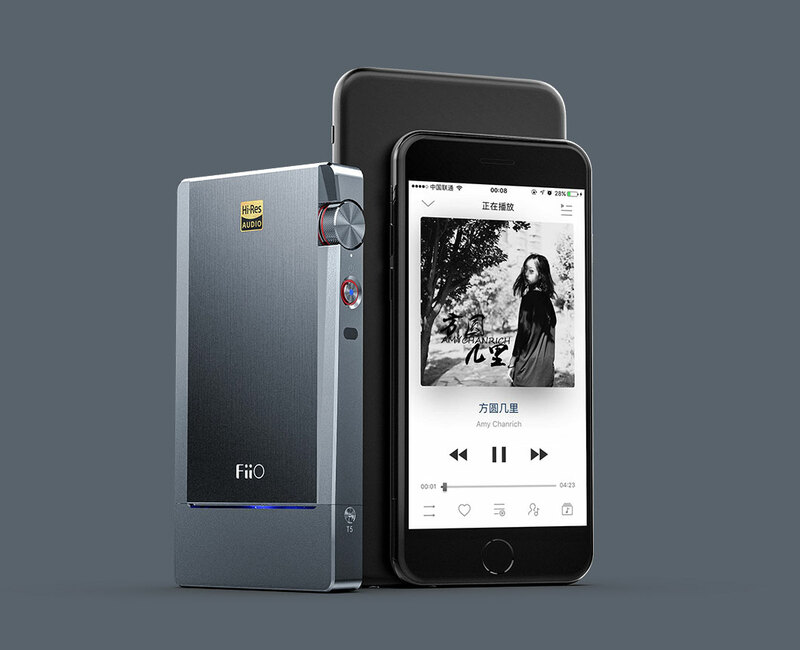 The Q5 is a high-performance Bluetooth enabled DAC/amplifier combo that bypasses its Bluetooth chip's internal DAC for much better sound quality. That is, digital Bluetooth audio signals are directly passed to the AK4490 DAC through the XMOS chip for reduced total harmonic distortion and crosstalk, a lower noise floor, etc. – for a much purer and ultimately more accurate audio experience compared to a typical Bluetooth audio receiver. The same care has also been taken with respect to digital audio signals from the USB DAC, coaxial, and optical interfaces so that no matter how you connect to the Q5, you can be sure that you consistently get an excellent audio experience. For your further convenience, on the upper-left side of the Q5 are buttons to play, pause, and change tracks when in Bluetooth mode. These buttons also serve other purposes when not connected through Bluetooth. For instance, the play/pause button also turns on or off Bluetooth mode as well as enables pairing mode. The skip- to-next-track button also changes between coaxial, optical, and line-in input. *Note: When Bluetooth mode is used for the first time, the Q5 by default will attempt to pair with another Bluetooth device. To subsequently enter pairing mode, hold the PAIR button until the device starts to alternately flash lights. In non-Bluetooth modes, each press of the next button switches between input modes for the top 3.5mm combo connector. Traditionally, highly advanced DAC/amplifier combos have consumed lots of power in order to provide great quality sound. This means that due to the lack of current provided by a computer's USB port, your device's battery could actually drain even when not using it on the go. At the same time, whatever power provided by the USB port in this fashion is usually not clean, which has a great negative impact on the sound quality. 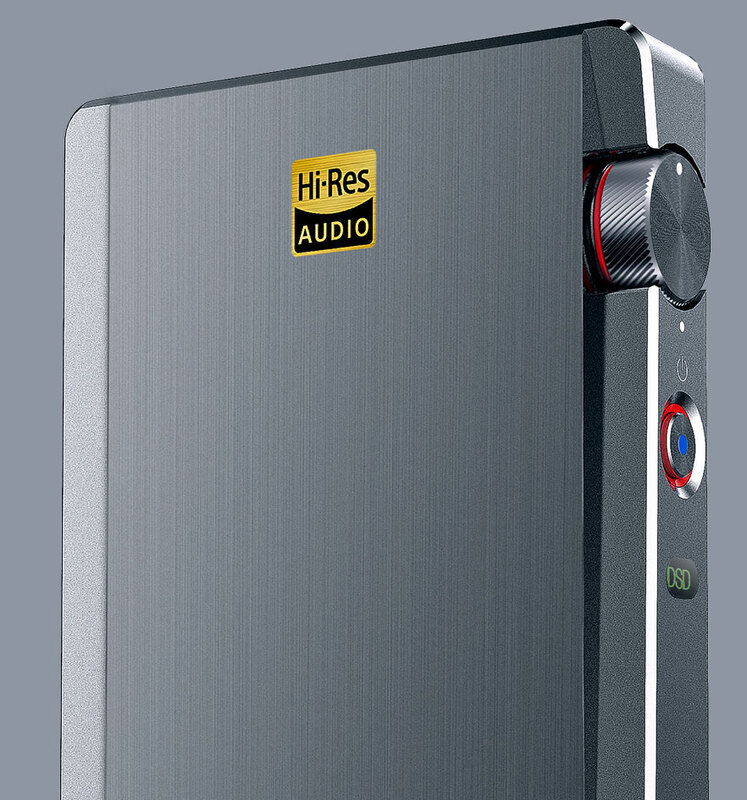 Therefore, it is important that an audio device is powered by a clean, high quality power source. The Q5 is designed with two USB ports (one on the side and one on the bottom) for this very purpose. The side USB port is for charging only while the bottom USB port is only for transmitting digital audio signals, so that the Q5's firmware can be updated when hooked up to a computer. This ensures that the Q5 has access to enough cleaner power as well as ensuring the battery doesn't drain in such scenarios. 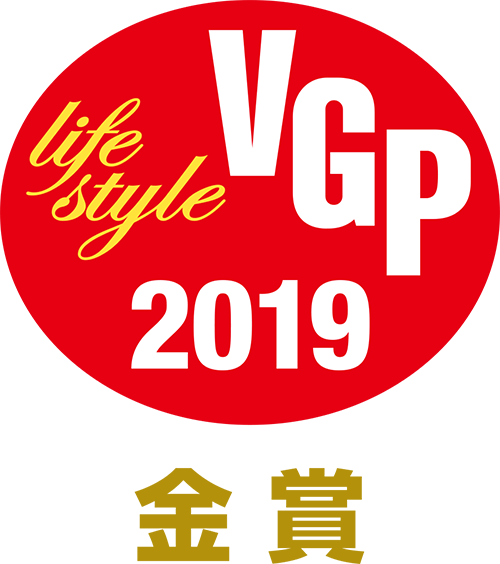 This same design is actually used among other well-renown portable audio products. With the Q5, you can quickly identify what input is being used by simply taking a glance at the RGB lights near the bottom of the device. White means USB input, blue is Bluetooth, green is line-in, purple is optical and yellow is coaxial, and red is to remind the user the battery is low when flashing (twice every 5 seconds) or the battery is running out (when solid). Moreover, it's to remind that the device is charging when the light pulsing in any color. Included in the Q5 is a handy card that reminds the user of all of these indicators. With the Q5, you can switch between low and high gains (depending on how much driving power your headphone needs) as well as toggle between bass boost on or off (depending on your preferences). The Q5's high capacity battery is designed so that it will last as long as you need it to. 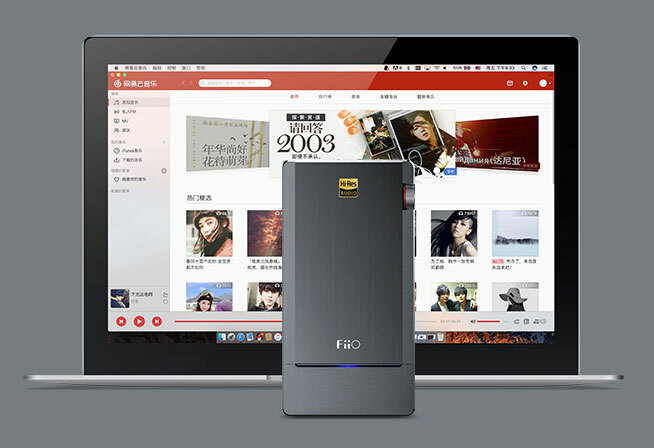 When connected to mobile phones for use as a DAC or as a Bluetooth receiver, the Q5 will last about 10 hours. When connected through its coaxial input, the Q5 will keep playing for about 10.5 hours. When used purely as an amp, the Q5 will keep on going for a whopping 20 hours. *The above numbers are based on specified test conditions. Battery life will vary depending on exact usage and playback volume. The Q5 comes with so many accessories that you have to see it to believe it! Included are: short Lightning-to-micro USB cables, long Micro USB cable, 3.5mm cable, 2x long straps, 2x short straps, coaxial adaptor, optical adaptor, screwdriver, non-slip mat, and carrying pouch. You no longer need to worry about getting up-and-running out of the box.